ESU Decoders for Mallard A4 Class - DCC Sound Decoders ! 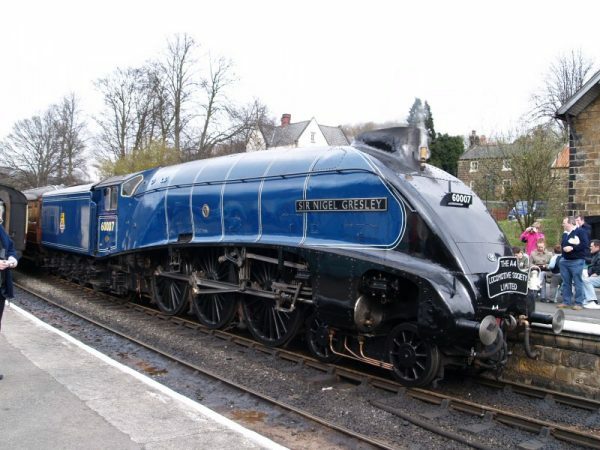 First of all this Gresley A4 Mallard is now available from this store. So that it can be added to our first ESU decoders collection. Instantly it will improve your driving experience. 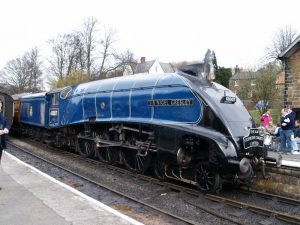 So this is Mallard project is enhanced by the use of playable customizable whistle and brakes that follow your commands. All this adds to the sense of exhilaration of going back to the steam age. 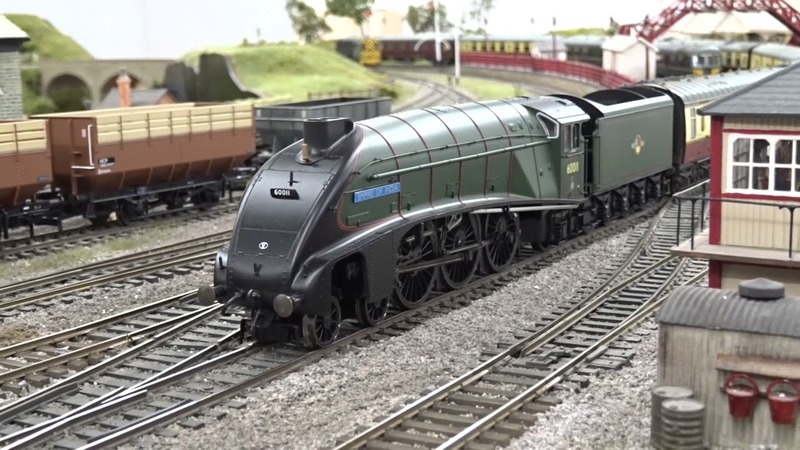 Also, start this video to hear our A4 Gresley sound. Of course, this is exactly the same as those to be found on the ESU decoders we supply. 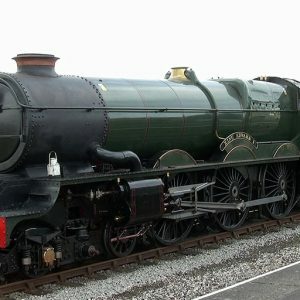 First of all, copyright is abided by in both our ESU decoders British Steam sound projects. 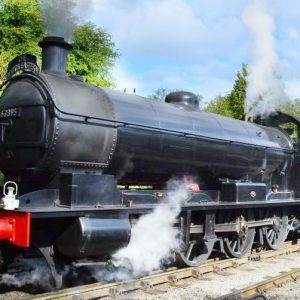 Since we professionally record all sounds in each project at the highest fidelity with digital recorders with multiple microphones placed on the loco. Also, we give advice on speaker selection and placement. The most important factor is to please your particular pair of ears. However, this is because everyone has a different set. Specially processed chuff sounds for high-speed drivability. So these chuffs sound real even at full throttle. Free playable whistle reacting to your fingertip control. Additional Sounds with outstanding high quality - no audible loop or annoying background noise. All random sounds have always the same volume as the F-key-sounds. Shunting mode has been designed with a second sound set (lighter chuffs, decent loco brake squeal, cab door instead of coach door and introduce different whistles). Also, using F4 at lower speed enables vacuum brake valve sounds. 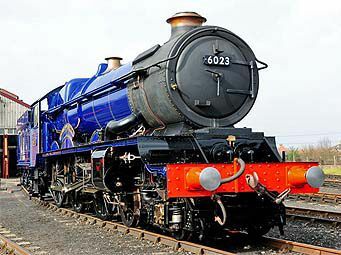 Furthermore, we offer a wide variety of steam model railway sound effects projects. These continue to expand as we prototype, polish and make available more DCC chips with loco sound. At this point, the DCC chips are now with 'All New' interactive features. ***Accordingly Be Aware: That, of course, these superior sound decoders will be posted by insured special delivery*** Incidentally, this DCC Sound Decoders UK Project has random stationery sounds including Injector & Coal Shovelling. Presently items are sent by Special Delivery. Moreover Free Shipping on orders over £250. In conclusion, we work up the highest fidelity best driving Zimo decoders with UK steam noises on the market. What's more our ESU decoders are available with connectors to suit your loco. Finally, Locoman Sounds believe diversity spices up life. Next check our diverse offering of DCC sound trains. Of course, it will fit with your pre-existing loco sounds systems. 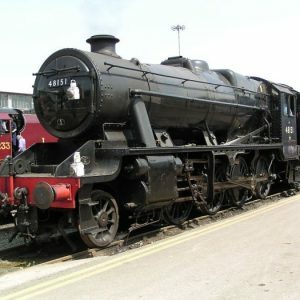 Also here is more information on the A4 Gresley Locomotives.